Its a snowy, snowy day here, so I figured I’d better catch up on a few cake posts. This cake is actually from Dec for my husband’s work. 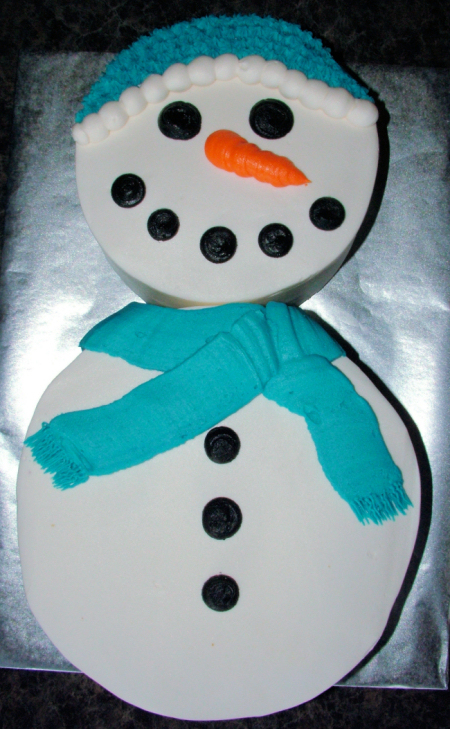 Mr. Snowman is made from an 8″ and 10″ cake, iced with a fondant scarf.